Creative Market Business IdentityV3.0.2 WordPress Theme | BloggersStand ';-1!=b.indexOf("img.youtube.com")&&(a=' ');d=a+''+p+''+titlex+"
Showcase your business, connect with your customers, and make a strong and professional impact on the web with Business Identity. Featuring custom logo and site layout functionality, a beautiful home page template, and customer testimonials, Business Identity is the right choice for your online brand. 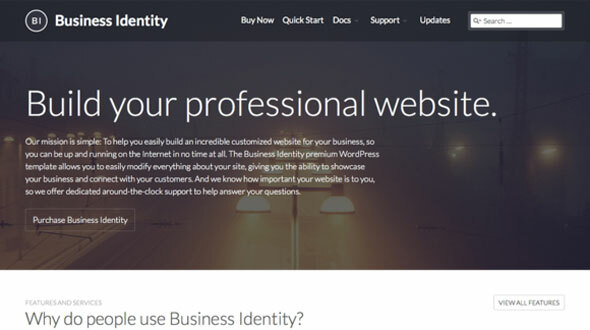 0 Comments on "Creative Market Business IdentityV3.0.2 WordPress Theme" So Far - Post Yours!